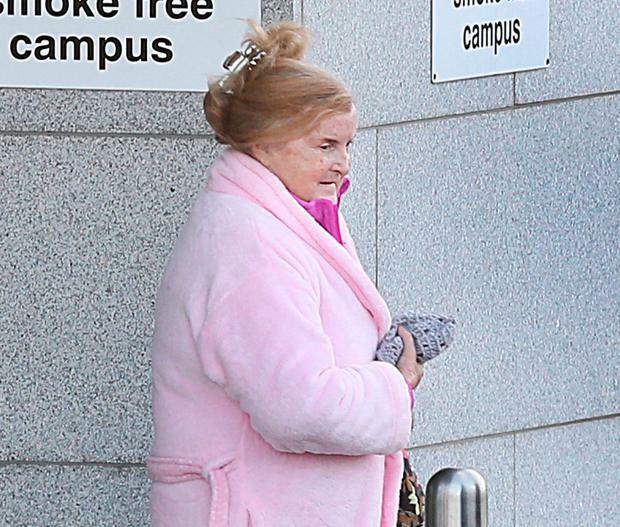 Black Widow Catherine Nevin opened up about the cancer that killed her life in a soul-baring letter - but there was no admission of guilt over her husband's murder. The letter was sent to Tiglin rehabilitation chairman Aubrey McCarthy, with specific instructions that it should be shared, according to Nevin, in the hope that it might help others going through the same ordeal. The document had been typed, as Nevin was too weak to use a pen towards the end of her life, and was dated December 12, 2016. She told how she fell ill on September 20, 2016, in the Dochas Centre, where she was imprisoned. She was diagnosed with a brain tumour and given treatment including radiotherapy and chemotherapy. "It brings home to me what the really important things in life are," Nevin wrote. "For example, because of the medication I'm on, I've gone from a size 12 to a size 20. "But it doesn't matter to me any more - I just wear bigger and looser clothes. "I've lost much of my lovely hair (though not my eyelashes or eyebrows) - again I can cope with that. What matters is that the awful tumour I have is being treated." Nevin said she had complete confidence in the medical professionals who were looking after her and in their teams. "However, it is not enough to rely on the experts, even though this is very important. You have to do the work yourself as well," she wrote. "This applies to life as a patient, as is the case with me at present, but also to life in general. Life is a challenge, I am meeting it. I feel that I am worth fighting for, and I am fighting. For me the tumour is just an- other blip that has to be dealt with. "We have to remember that in reality, money and position and power doesn't count." She said she had a grade four inoperable tumour. "The outlook for me is not good, but I will embrace the challenge," she wrote. In the document, Nevin asked reflective questions and contemplated her life: "What did I do with my life? I had a good time - enjoyed myself, had a bit of craic, did my work, looked after my family, but did I help others? "Was I judgemental - especially in relation to poor people, marginalised people, prisoners? "Did I reflect on the reasons people go to prison or did I presume I was better than people who go to prison? Did I ever look up at the sky and appreciate the sunshine or was I too preoccupied with other things? "Did I ever really appreciate the beautiful morning mist or was it always too easy to turn over and sleep some more?" "Remember life can take away only our liberty. It cannot take away our freedom." Nevin was serving a life sentence for organising the murder of her husband, Tom, at their Co Wicklow pub. Mr Nevin was shot dead in Jack White's Inn, near Brittas Bay, Co Wicklow, in 1996. In 2000, his widow was convicted on three charges of soliciting others to murder him, following one of the most high-profile trials in the history of the State. Prior to her death last Monday, Nevin had been on temporary release from the Dochas Centre women's prison since last August. The 67-year-old was granted full-time compassionate leave due to her requirement for end-of-life care that could not be provided in prison. She was cremated in a small private ceremony in West Dublin last Friday. However, she protested her innocence until her death and never revealed the identity of the hitman she hired.